Augustus Pablo plays over the 'Rock My Boat' rhythm. Taken from JRCD023 Augustus Pablo meets The Wailers Band Rare Dubs 1970 - 1971. A lost dub to Linval Thompson’s ‘Trouble’. A dub cut to Ronnie Davis's 'Raining'. Taken from JRCD024 Ronnie Davis Jamming in Dub. A lost cut to the King Jammy produced 'Darker Shade of' rhythm. Taken from JRCD025 King Jammy's Dub Explosion. 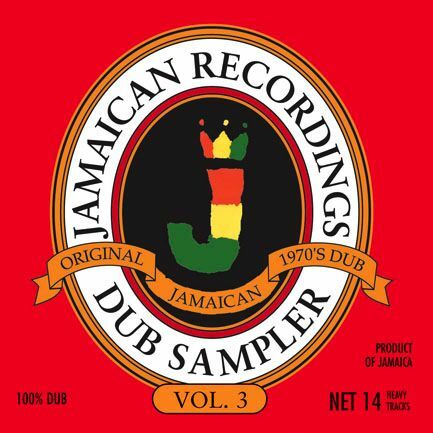 A dub cut to Johnny Clarke's version of 'Girl I Love You'. Taken from JRCD026 The Professionals meet The Aggrovators at Joe Gibbs. Shorty the President rides over Ronnie Davis's version of the 'Rock My Boat’ rhythm.Taken from JRCD028 DJ Jamaica Inna Fine Dub Style. Jackie Mittoo rides over Johnny Clarke's 'Jah Jah We Prey' Taken from JRCD031 Jackie Mittoo Rides On. A lost dub to Freddie McKay's 'Going'. All tracks produced by: Bunny Lee except Track 3: Niney Holness. Track 6: King Jammy Track 4 Side 2: Ossie Thomas.